during her tenure at the d*s guest blog maria of port2port press created a phenomenal collection of affordable art finds that were too good to pass up. she got an incredible response to her work and i jumped at the chance to archive it so we can all use it when in need of some great art the won't break the bank. so click here to see mav's affordable art blog archived. she blogged for two weeks in september so just scroll down to see all 52 posts- it's one heck of a resource. great work, mav! 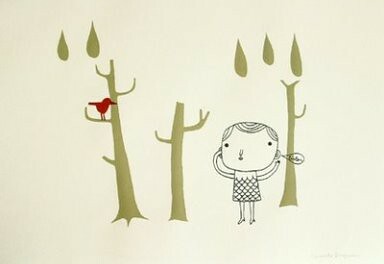 I buy a lot of really cool little pieces of art from a website called www.prettydarnswell.com. Each piece is only $20 and a part of the proceeds goes to a charity of the artist's choice. I love this blog!!! I'm a newbie blogger and a Parsons schooled starving designer with a serious art habit. I've recently started a blog of my affordable, original art. Please take a minute to check it out as your walls propabley need art and my two amazing kids need new shoes!